FINALLY, the LAST #100daysofhappiness post! I love getting to enjoy a cup of coffee on our front porch. PS have I said how much I really just love Tervis Tumblers? 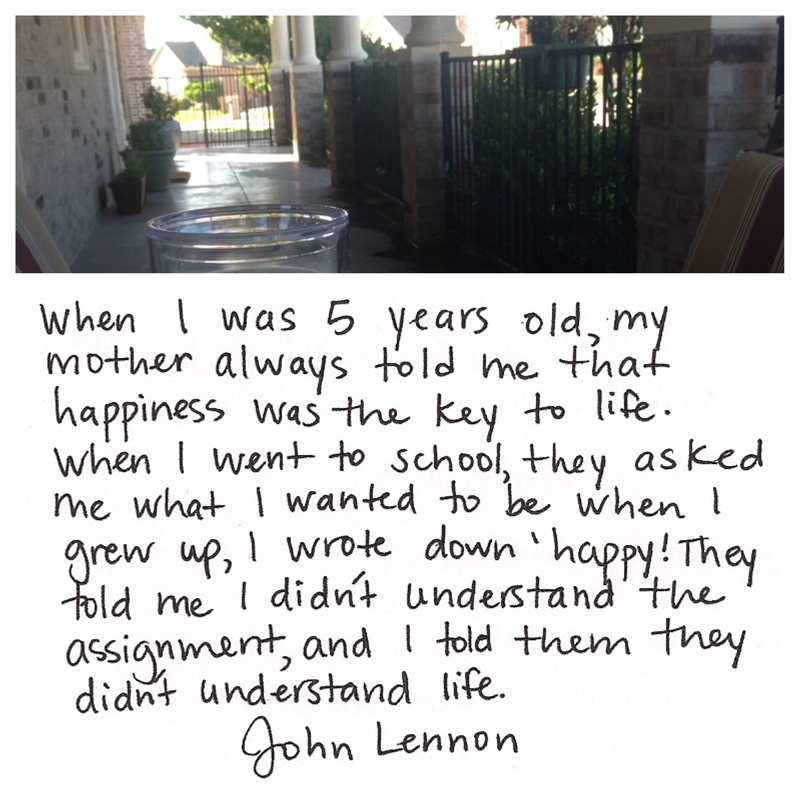 And for my last picture I leave you with a John Lennon quote. Happiness if what you should strive for in life and while life is tough you can find small miracle and goodness in the everyday things! While this experience has been so much fun challenge it has been hard to remember to stop and take pictures all the time! I am ready to get back to regular updates and posts! Lauren, I lost your blog so I’m so glad you left me a comment today. 🙂 Going back to read some of your posts.